Scott Young, DDS Contents Farkhad K.
Farkhad ground his teeth, and this caused several significant problems. His teeth experienced breaks at the gumline caused by the constant pressure, and these contributed to both receding gums and recurrent decay on the surfaces where the teeth come close together. It only required 2 visits for Farkhad’s smile makeover. 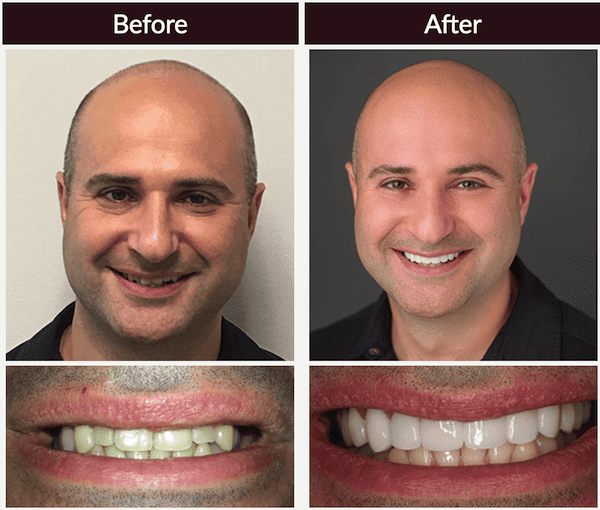 He got 11 upper restorations, which brightened his smile and straightened his smile line. We also improved the crowding on the lower teeth. Sedation dentistry ensured his comfort through the entire process.